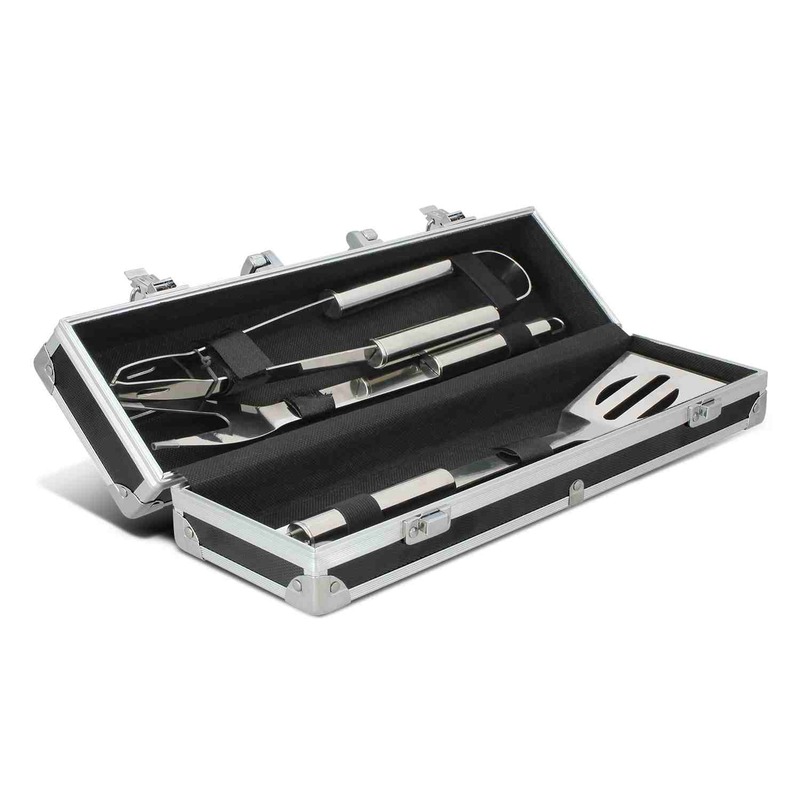 A high quality BBQ gift set that will help you cook the perfect snags and burgers. Have everything to master the grill with these premium BBQ gift sets. 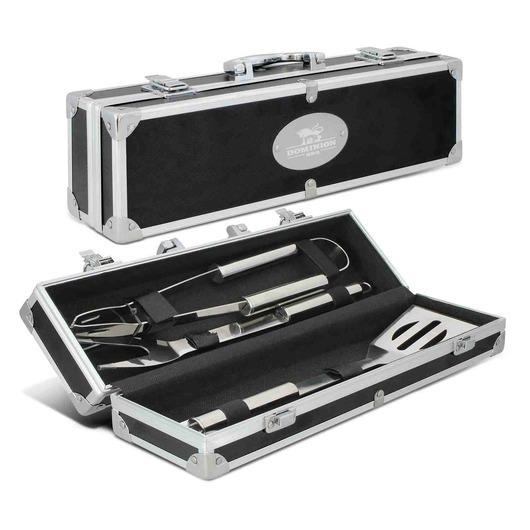 They come presented in a superb metal and plastic case and include a fork, pair of tongs and a spatula. All of which are made from high quality non-stick food grade stainless steel. 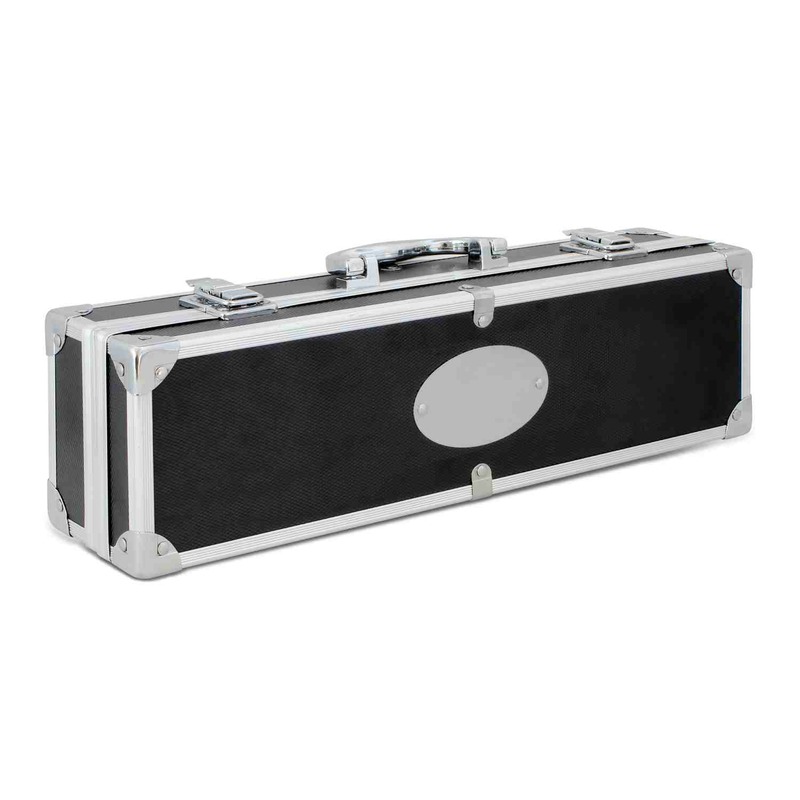 They enhance your brands image and look stunning.